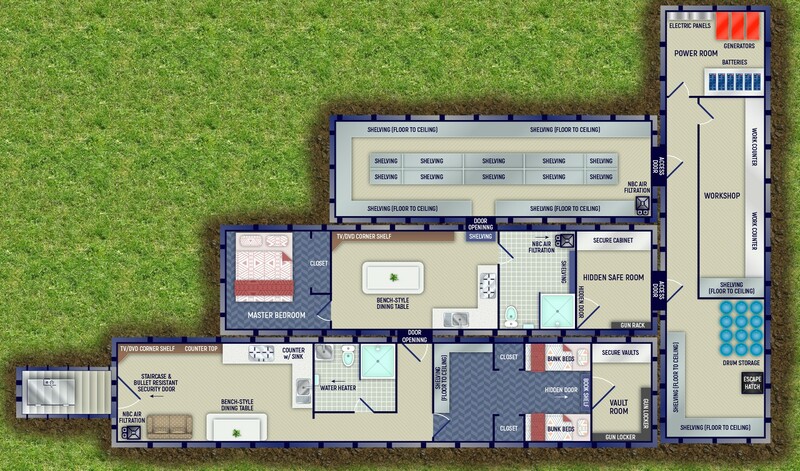 The Eagle is 2400 SqFt, 6 unit bunker complex with 1 entrance and 1 escape hatch. All of the amenities of our typical upgrade units are included. There are 2 hidden security doors throughout the complex allowing the occupants to secure sections of the bunker if the need arises. 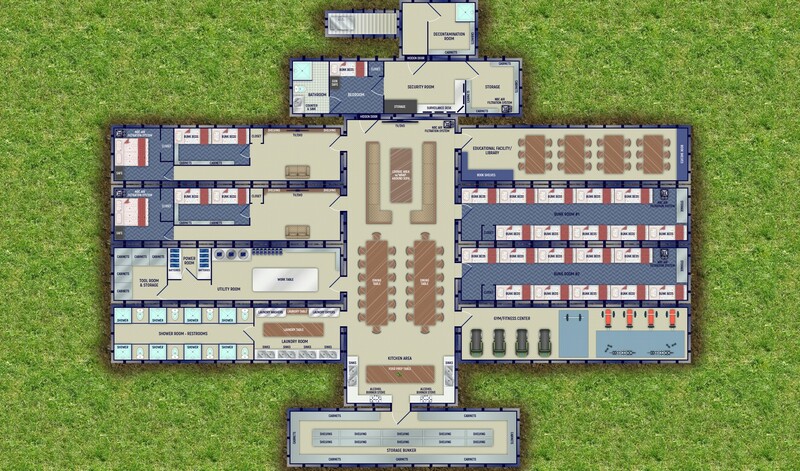 Intruders will have no idea how large the complex is and how to access the safe rooms and secure sections that lead to the escape hatch. 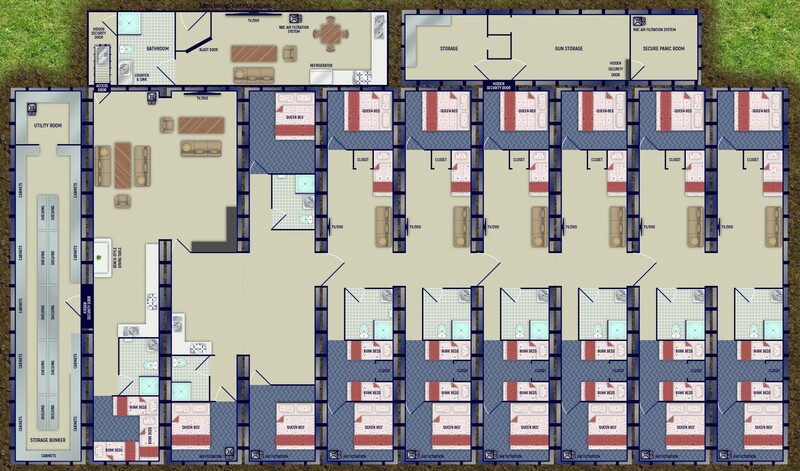 The bunker offers 4 individual living units, each with it’s own full bathroom living room areas. 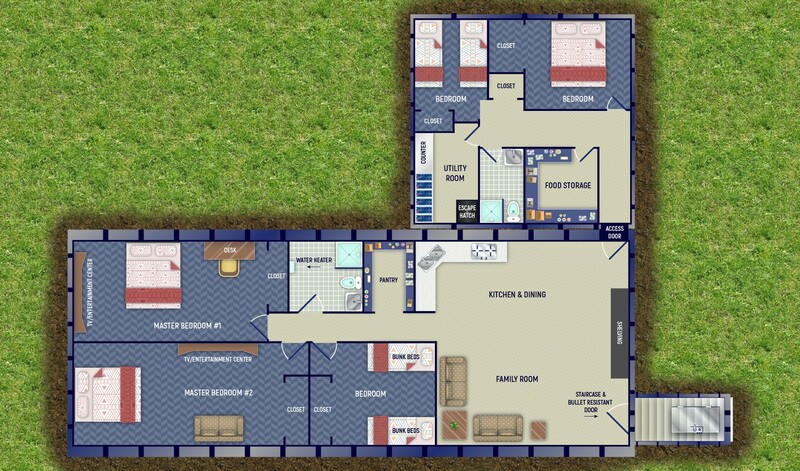 This floor plan was designed with multiple families in mind. 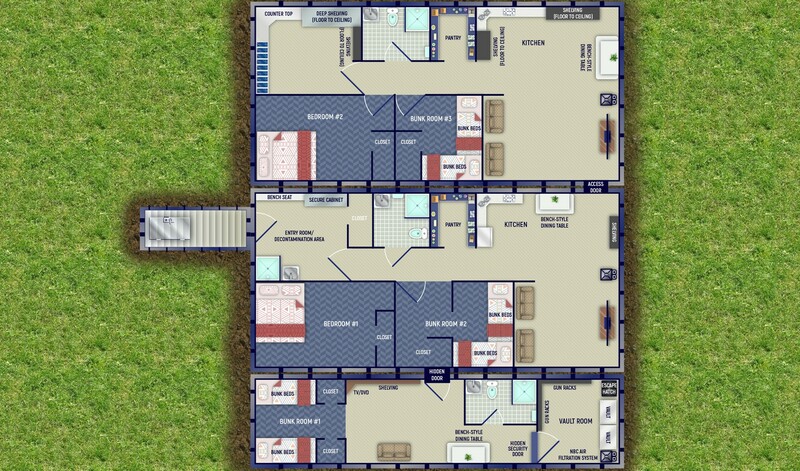 While offering perhaps more security than any other floor plan – these units are divided in such a way as to provide every family their own independence from the other occupants. 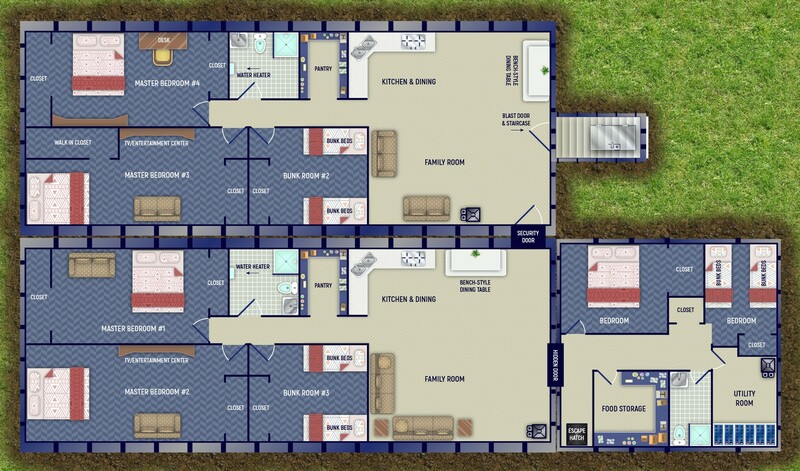 Included in this floor plan: Bullet resistant door, NBC air filtration with blast valves and over pressure valves, double counter with sink in a large community kitchen, 5 bathrooms with showers and composting toilets, lots of shelving for food storage, water pressure pump, hot water heaters, grey-water evacuation pumps & tanks, 12 volt LED lighting, solar generator charging system with battery supply, (4) 12 volt TV/DVD combos, infrared security system, fresh water inlet, 120/240 volt inlet, staircase w/ handrail, painted interior and exterior coating/corrosion protection. 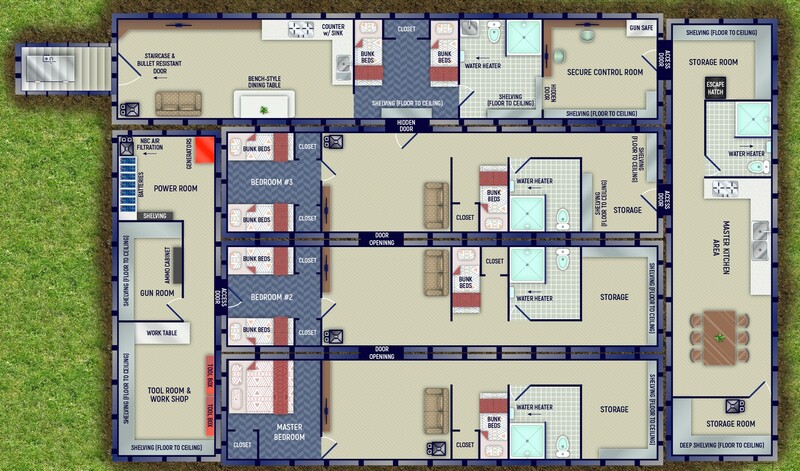 -1 Master’s Quarters with queen size bed, enlarged closet, round dining table and secret panic room. -Security room where your infrared camera monitor and the main gun vault are located.